New York City, 2013: The 99U Conference, invented by Behance and dedicated to “making ideas happen”, was held on May 2 and 3. For the fifth year, attendees arrived to be inspired to see their ideas through to execution. I attended, online, by way of the Twitter hashtag #99conf. Inventor Thomas Edison took the stage of Alice Tully Hall. He opened by invoking the mission of the conference: “Genius is one percent inspiration, ninety-nine percent perspiration.” This phrase was originally spoken in 1903, a major year of firsts: first teddy bear, first flight by Orville Wright, first box of Crayola crayons sold for 5 cents. 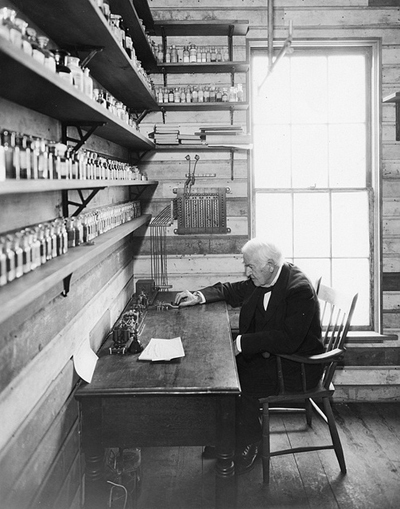 Edison’s ratio of inspiration and perspiration was fiercely applied. 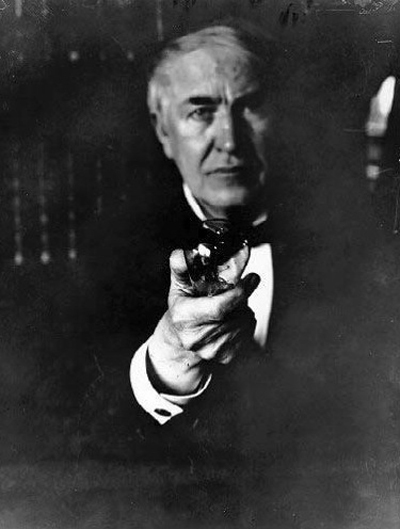 On a large screen behind him, Edison projected his to-do list, which he simply called “Things doing and to be done”. A few items from the list: “Cotton Picker”, “Deaf Apparatus”, “Artificial Cable”, and more. As he does every time he kicks off the 99U conference, he emphasized that there was much more to be done. Viewing the clock as a distraction is one thing. Defying sleep is another. Edison shared what worked with him. 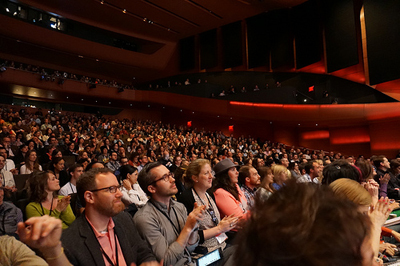 The 99U conference started with a timeless jolt of electricity. 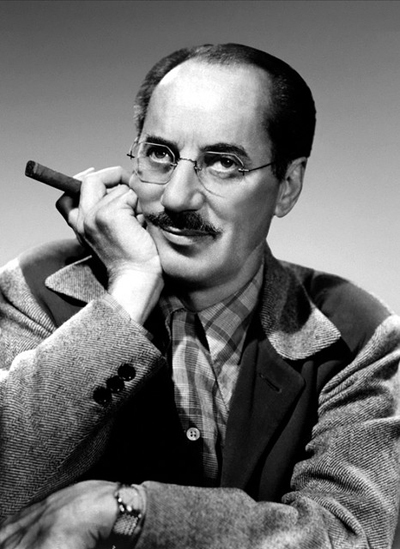 Comedian Groucho Marx graced the stage with his trademark look and captivated us with his verbal repartee. During his speech, he offered this twofer of a zinger: “The secret of life is honesty and fair dealing. If you can fake that, you’ve got it made.” Pretending is power, positively speaking, where fakery is not fuckery. 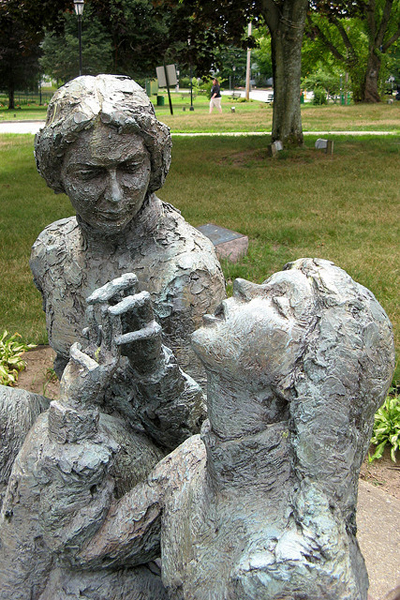 Anne Sullivan Memorial, Agawam, Massachusetts. Teacher Anne Sullivan embodied Edison’s persistence and Marx’s improvisation as she shared memories of her experiences as a teacher to Helen Keller. Over 49 years, Sullivan worked closely with Keller and taught her how to sense and process the world. Each day was an education focused upon the needs of one. Each day she strived for a miracle—a version of one. Sullivan supremely demonstrated the improv technique of “Yes, And… .” Standing ovation for the “Miracle Worker”. Here’s to having fun putting restlessness to work. For the better. Big thanks to Behance and 99U teams for making their annual conference happen.